LBN 437 is a molecular cloud in the constellation Lacerta. It is located at the edge of the much larger emission nebula Sh2-126 and the star forming region Lacerta OB1. 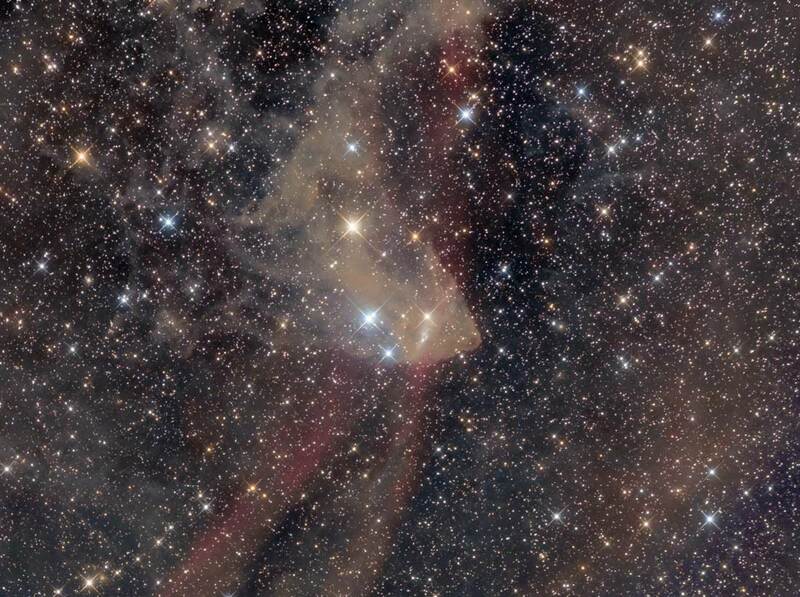 The densest part of LBN 437 (centre) is associated with some bright young stars, among which the variable star V375 Lacertae, which is an Herbig object, with strong Hα-emission. This star is also responsible for the excitation of some bipolar Herbig-Haro-Objects situated in the nebula (HH 808, HH 809, HH 398). 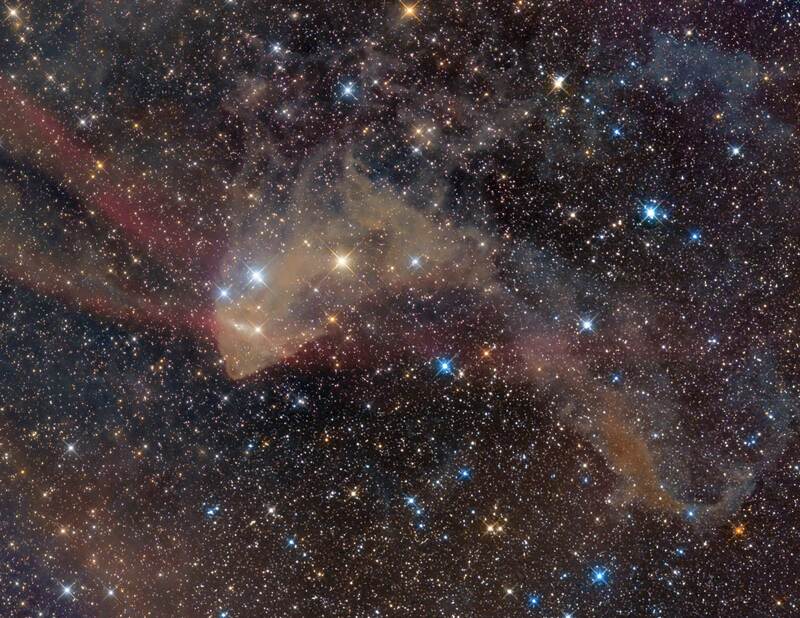 The whole LBN 437 can be seen on this image taken in 2013. And here is a mosaic combing two images.